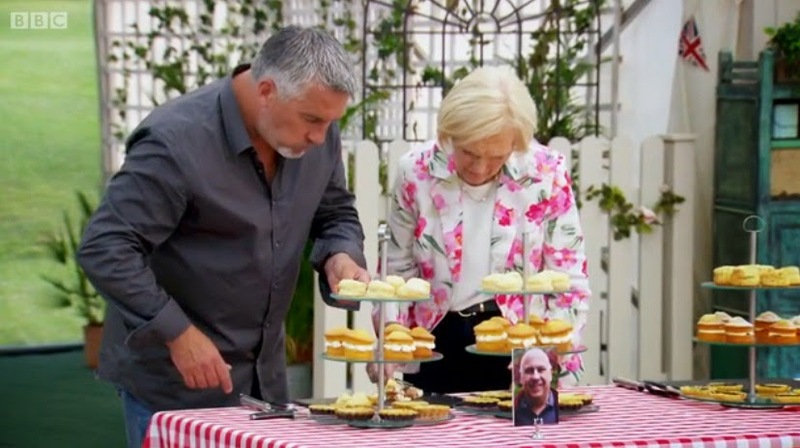 The final episode of series five of The Great British Bake Off started by summarising some of the notable moments from the series. Norman’s lavender meringue, Luis amazing sugar work and of course Iain’s Baked Alaska disaster! I felt so tense at the start as it really was such a close competition. I had no idea who would win as they are all so talented. Richard has won star baker five times (a show record), Nancy has years of baking experience behind her and Luis is such an imaginative and creative baker. 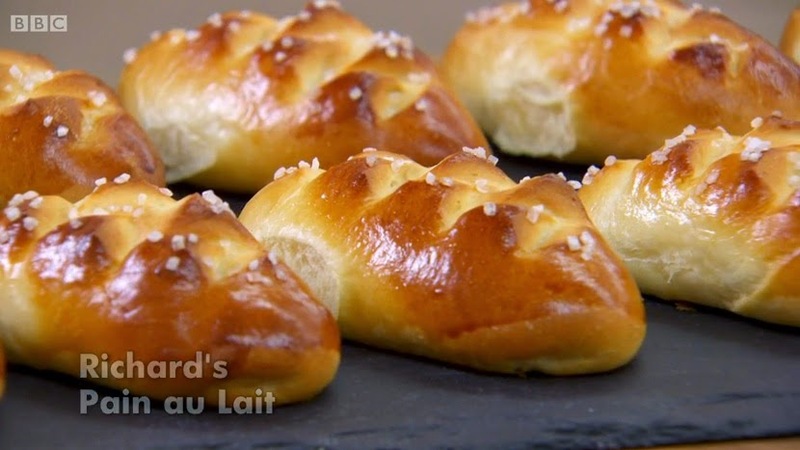 For the signature challenge they were asked to make two different types of viennoiserie, which can include things like croissants, pain au chocolats and brioche. Paul said it is extremely difficult to master viennoiserie. Luis made Apple, Walnut, Raisin & Cheese Chaussons, and Rapsberry & White Chocolatea Pain Au Chocolat. 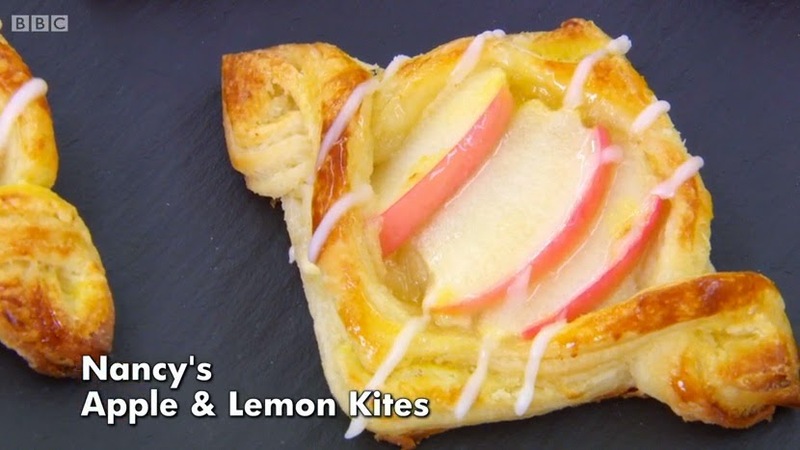 Nancy made Almond & Raspberry Croissants, and Lemon and Apple Kites. She used freeze dried raspberry powder instead of fresh fruit as it the moisture from the fruit can affect the bake. Richard made Pain Au Lait, and Pain Au Chocolat with Pear. He used creamed butter as a shortcut to laminating his dough, but Paul suspected this may make his Pain Au Lait too bread like. None of them had a perfect judging result, with Paul and Mary finding issues with everyone’s pastries. I loved this week’s technical challenge. Perfect for the final in my eyes as it really is about being a master of the basics. They were asked to make 12 mini scones, 12 mini victoria sponges and 12 mini tart au citrons. Earlier in the week I had been wondering to myself what the technical would be and I thought that it would be interesting if they were asked to make something like a white loaf of bread, but do it perfectly. I was so excited that my prediction came sort of true! There were no instructions for the bakers to follow, they just had to use their existing knowledge. The hardest part was that they only had 2 hours to make everything. This was a very intense challenge to watch! Richard came third, he had never made a tart au citron before and his lemon filling ended up as lemon scrambled egg, his jam was also very runny. Luis came second, he also had trouble with his tart au citron, the pastry was too thick and he didn’t have time to pipe the chocolate writing on top. Nancy won the challenge, with the judges only complaint being that she didn’t pipe the cream in her victoria sponges. 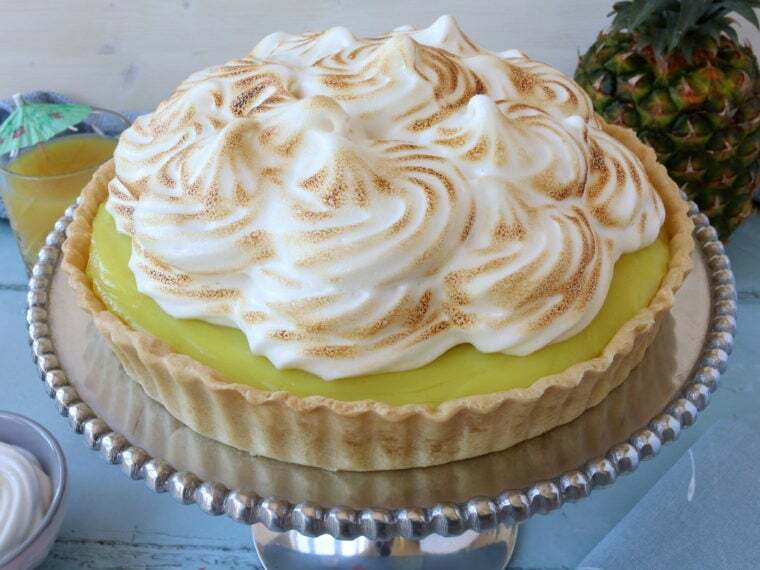 They loved her tart au citrons. A spectacular, enormous and elaborate pièce montée was the final showstopper challenge. A pièce montée is basically cake architecture. It’s an edible sculpture made from cake, sugar work, choux pastry and petit fours. 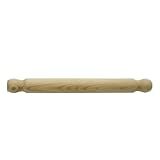 The bakers could use any flavours they wanted, but had to construct their pièce montée into a design. Paul said that this was the ultimate patisserie challenge as it had to be vast and intricate. Both judges wanted absolute perfection. 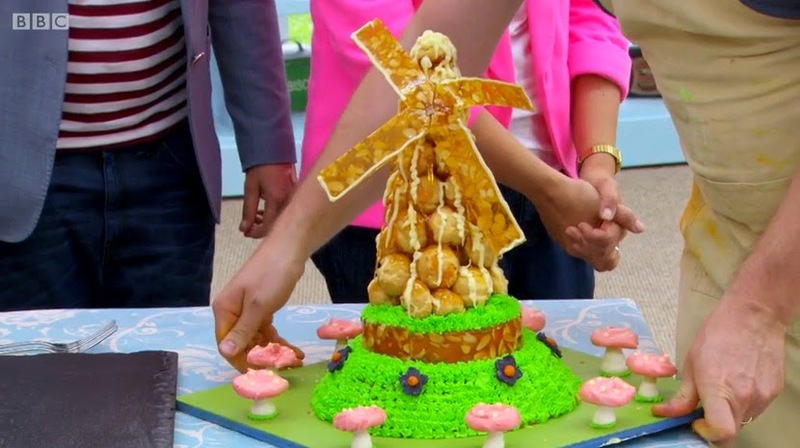 Richard made a ginger sponge hill with a croquembouche windmill on top and almond brittle sails. Each bakers got a short segment on their background, Richard is a 4th generation builder who built his family home. He worked in a high street cake shop as a youngster and when I found out his wife and one of his daughters is ginger, as a fellow ginger myself, I immediately loved him more! The judges weren’t sure about the bright colours he used for his icing, and his almond brittle had started to ‘flop’. They said the cake had fantastic flavour and his choux were ‘first class’. 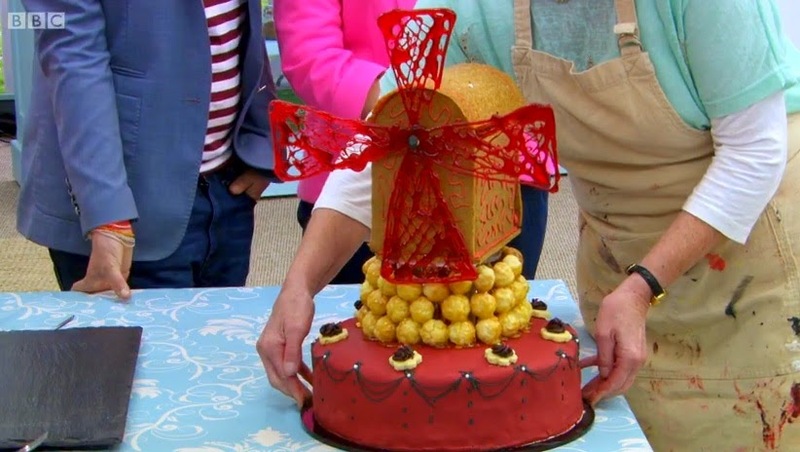 Nancy made a four layer cake, with a croquembouche platform for a windmill made out of ginger and orange biscuits with red dyed caramel sails. There were also mini shortbread petit fours on the cake and the sails of the windmill moved! Nancy’s background showed how determined she is. In her 40s she went back to university and got a masters, and when she got into training dogs she ended up at Crufts. She also has eight adorable grandchildren. 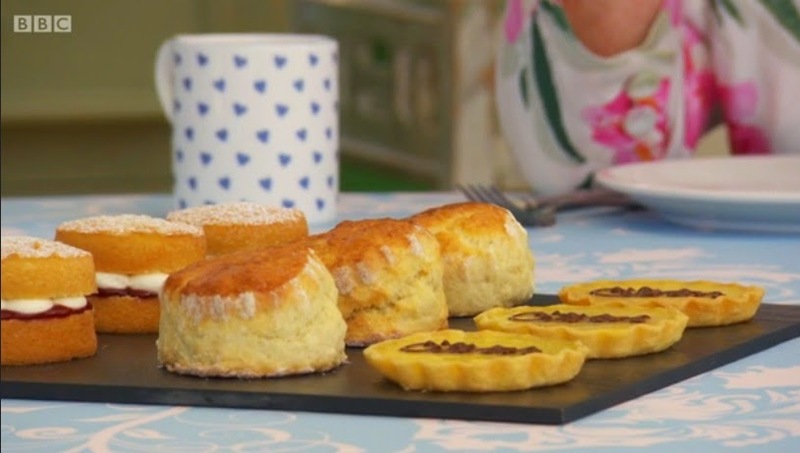 The judges thought her pièce montée was a highly skilled bake, with first rate shortbread biscuit, good flavours, a beautiful and light sponge, and good biscuit. Luis made a tribute to Poynton, which is his home town and has a mining history. 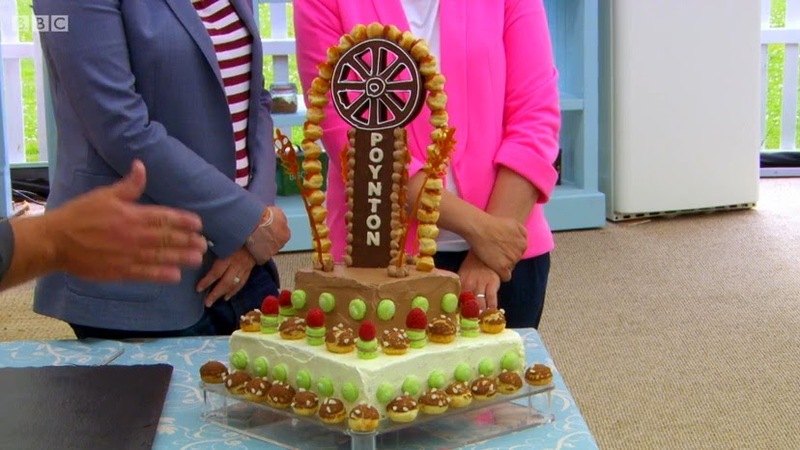 He made a two tone sponge cake, a biscuit mining wheel with a choux rope, wheat shaped caramel decoration and mint macarons. As well as baking, Luis performs in his local ukelele club. He has Spanish parents who influenced his love of food. The judges thought his pièce montée was a very clever design and a piece of art. It had a very nice flavour and striking two tone sponge, but the chocolate one was dry and the Italian meringue lacked flavour, however they said his chocolate biscuit was beautiful. Luis is so adorable, he looked so happy when he took his bake back to his bench! And the winner is… Nancy! Paul said she nailed the final and Mary called her a perfectionist. I had no idea at the start who would win, unfortunately Richard didn’t do very well so I knew it would be either Luis or Nancy towards the end of the episode. I am pleased for her and I am excited to see what her and all the other bakers get up to now the series has ended. I decided to make croissants for my final GBBO challenge bake. They make puff pastry a lot on the show and I’ve never made it from scratch before so I thought it was about time I gave it a go. It is a long process so I started the day before as the dough has to chill over night once the layers have been made. To make the croissant dough I mixed together strong white flour, salt, caster sugar, dried yeast and some warm water. Add enough warm water to make a soft dough. I kneaded it for 10 minutes, then put it into a bowl covered with cling film and chilled it in the fridge for 1 hour. 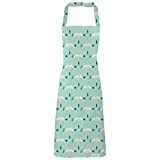 Next I bashed up and flattened a block of butter between two sheets greaseproof paper using a rolling pin. I rolled out the pastry into a long rectangle and placed the squashed butter in the middle. I folded the pastry around the butter like an envelope, wrapped it in cling film and chilled in the fridge for 1 hour. Then I rolled out the dough again, folded it again, and chilled it for 1 hour again. I did this three times in total, then left it in the fridge overnight. As I said, it’s a long process! The next day I got it out of the fridge and it had risen somewhat overnight. I cut the dough in half and it was lovely to see all the layers that had built up! I rolled out the first half of the dough into a long rectangle. The dough was very stretchy and sprung back on itself a lot. I cut it into three squares, then each square into triangles making 6 triangles. I tried both rolling it into crescent shapes and rolling it straight. The crescent shapes did not look as good and did not bake well. I’d definitely recommend the straight ones if you make these croissants! I brushed them with beaten egg, then baked them on 220C/425F/Gas Mark 7 for 10 minutes, then turned it down to 190C/375F/Gas Mark 5 and baked for a further 5 minutes. I filled my croissants with jam, butter was definitely not required as they were super buttery! My boyfriend loved them and feasted well for a Sunday morning brunch. I was really happy that they worked and turned out so well, I would have liked the bake to be a bit more even and the rolls a little neater, but that’s just the perfectionist in me. Puff pastry is time consuming from scratch so it’s not something I’ll do often, but definitely a nice treat for a special occasion like a birthday breakfast for example. Yum! 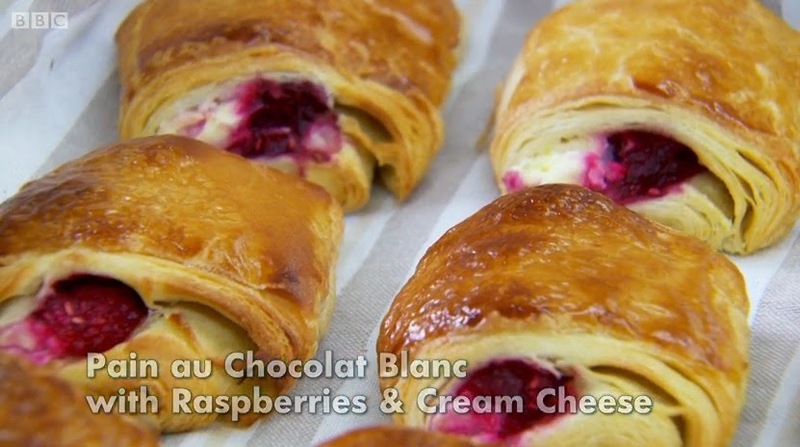 These look so fab and really easy compared to how difficult I think croissants must be! I'm so sad it's over 🙁 These look fab though, I really am jealous! Gonna make myself a batch of these and see how they turn out! Fab layers! You should be very proud of yourself…. these look wonderful! Definitely looks like they were worth all the effort.